Have you been hearing about the new Westside middle-high school pilot school, The Incubator School? Want to learn more? Come to their introductory Town Hall! Come with your questions to the Town Hall this Thursday. 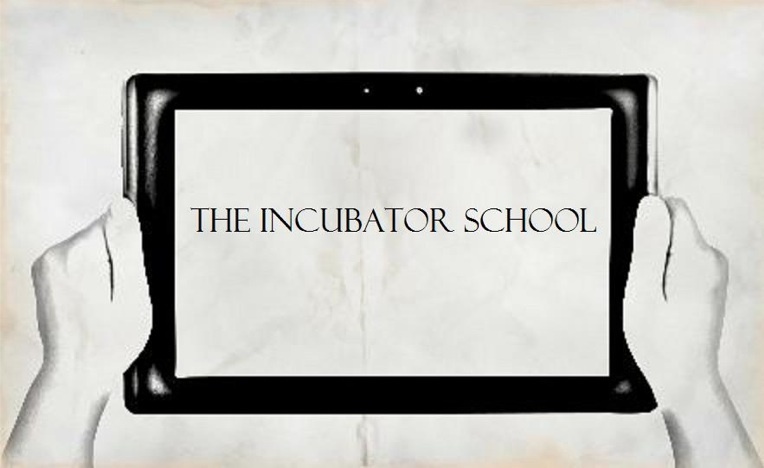 Read more about their vision here: TheIncubatorSchool Or, Join their FB Page. 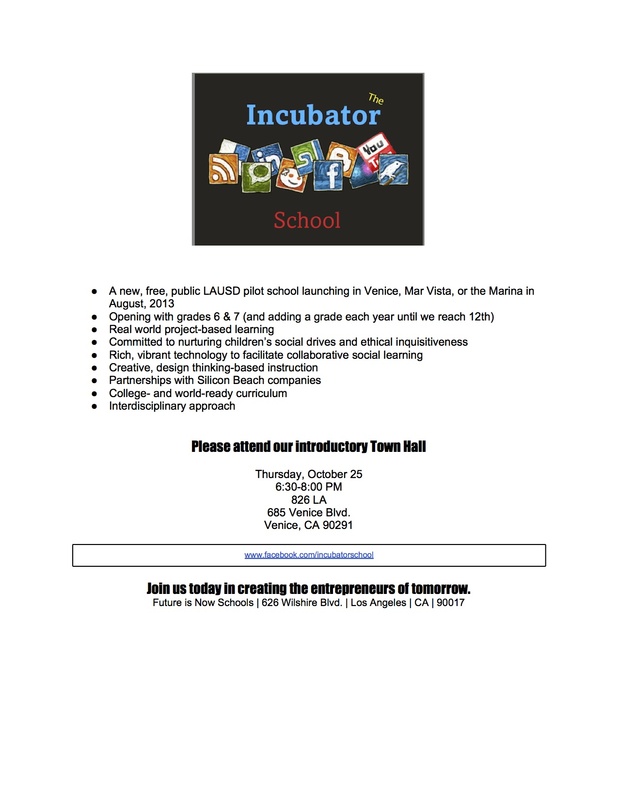 This entry was posted in Announcements, LAUSD News, Public School and tagged collaboration, design thinking, entrepreneur, Future Is Now school, Incubator School, LAUSD, new middle school, new pilot school, Silicon Beach, technology, Town Hall by gomama. Bookmark the permalink.